Seminyak Sightseeing – Seminyak is a place in Bali that is well known as an area where the tourists can find many options of hotels from the cheapest up to the most expensive one. There are many properties that you can find such as Seminyak Hotel, private villa and etc. Besides that, there are also some types of restaurants that you can find in Seminyak, such as the world class restaurant with the international standard. Some tourisms object that are located in Seminyak offer the different feel with the other tourism objects, such as in Kuta. We can say that Kuta is a tourism object that offer more casual and chill atmosphere. Meanwhile, Seminyak offers the different aspects. The examples are there are many white sands beaches in Seminyak just like what we can find in Legian. The different is that, some beaches in Seminyak are quieter and calmer. Besides the beaches, Seminyak will be perfect for you that love to shop, eat in a fine dining restaurant and SPA. 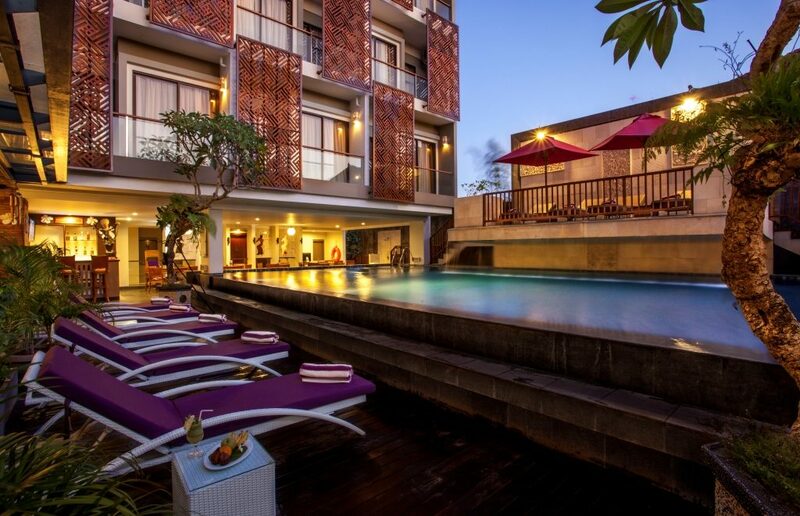 Most of the tourists that love to have a holiday at seminyak, will prefer to stay at Seminyak Hotel or some villas. The best way to enjoy and explore Seminyak is by walking around. For some of you that already planned to have a holiday in Seminyak and stay in Seminyak Hotel, we will inform some of the interesting tourism objects that you can visit when you were in Seminyak. Below is the list. This Petingetet Temple is perfectly located in Kerobokan village, Badung for about 10 km from Denpasar, Bali. This temple is located in the edge of Petingetet Beach. This temple is built in a higher land than the other land around it. On some special days, such as Melasti day, a lot of local people will come together to this temple because this temple is a place for Melis. So, it is a very good idea to come out from your Seminyak Hotel and visit this temple. It is because you will get both, seeing the great temples and the beautiful petingetet beach as well. The second Tourism object that you can explore in Seminyak is Biasa Art Space. This is a place where you can see some interesting art crafts that has a high aesthetic value. Biasa Art Space is a place for a lot of Indonesian artist to interact between one and the other with their fans. For you who love to enjoy the art crafts, you can come to this art space from your Seminyak Hotel. Trick art 3D museum is the newest Tourism Object in Seminyak. This museum provides many tricks of 3D painting that will bring you into an interesting world. On this place, you can enjoy some varied paintings that are made with some tricks. It means that the paintings have a multi dimensional picture that is made with a special technique. It will make the illusion that you are merging with the paintings. This museum is a required tourism object that you have to visit from your Seminyak Hotel. Yes, Seminyak is really well known because of its beach. One of the beaches that you can visit is the Seminyak Beach. This beach is also called the Double Six beach and it has the smooth sands. Around this beach, you will be easily to find some places to stay such as the Seminyak Hotel, villa and many more. Besides that, it is also so easy to find some restaurants around this Seminyak beach. There are many fun activities that you can do on this beach. One of those activities is enjoying the beautiful sunset. This sunset attracts a lot of people to come to Seminyak beach every day. On the edge of this beach, there are so many big umbrellas that are available for the Seminyak Hotel guests or villas’ guests that are located around the Seminyak Beach. We already informed that Seminyak is the best place, especially for you that want privacy by staying at Seminyak Hotel and for you who love shopping. One of the best places to shop here is Seminyak Square. Seminyak Square is a complete and modern shopping center. Some boutiques, café, restaurants and the other stores are also located near this shopping centre. You can find so many high class products on this Seminyak Square. This shopping centre is located on a torism object area that is called the small town in Seminyak. Besides that, this place is also located near the beautiful beach. Those are some beautiful sightseeing objects that you can find on Seminyak. If you wanted to explore all of those objects, staying at the Seminyak Hotel or at some villas in Seminyak is the best thing to do.